Size: Table - L: 122 (48") x W: 69 (27") x H: 76cm (30"). 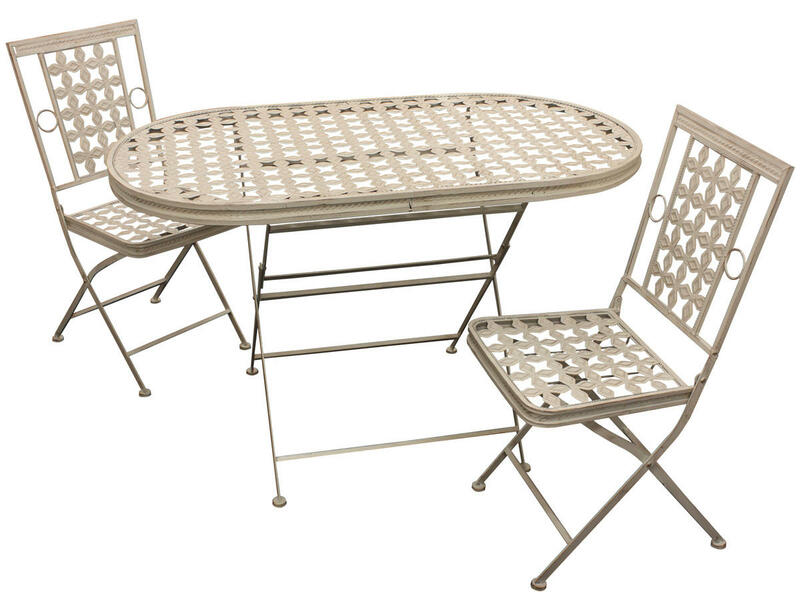 The Woodside® High Quality Cream Oval Folding Garden Patio Dining Set is perfect for outdoor dining. The table folds out in seconds, you will not have to mess around trying to set it up. Very strong and sturdy. 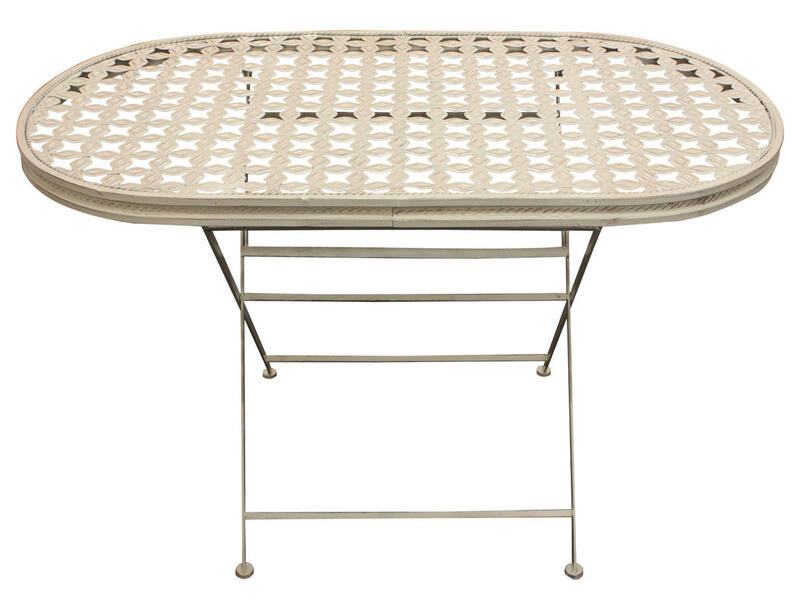 This has a lovely design with a rustic finish and would look great in any garden. 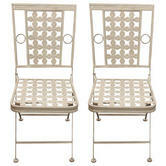 Colour: Cream, Material: Metal, Dimensions: Table - L: 122 x W: 69 x H: 76cm. Overall chair height: 90cm. Seat height: 45cm. Width: 40cm. Depth: 37cm, Weight: Table: 12kg. 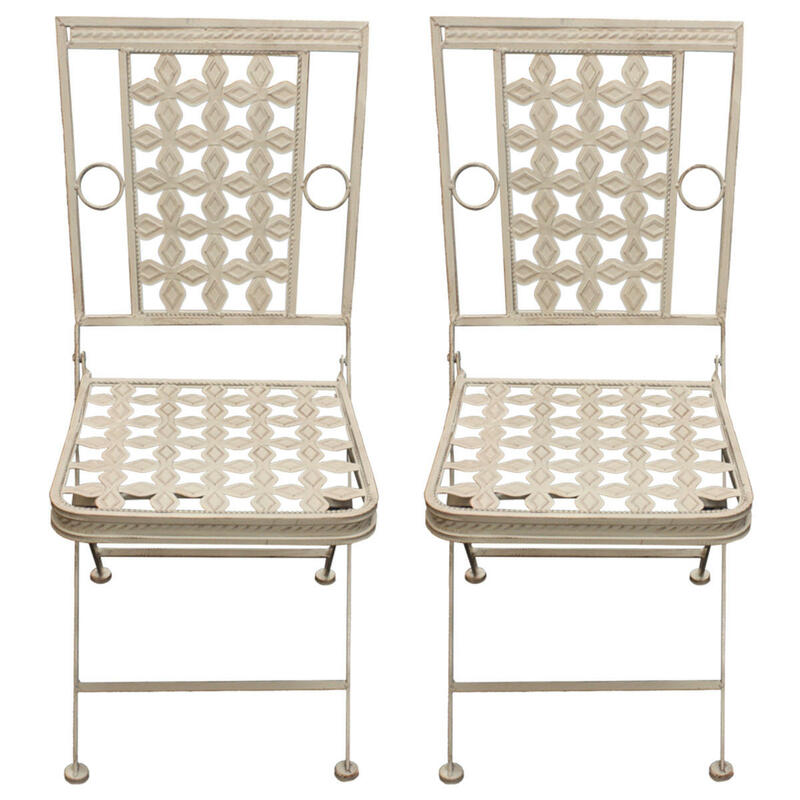 Chairs: 5.5kg each. Set includes: 1 Oval table, 2 square chairs.